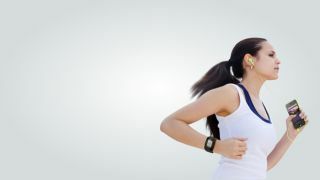 Epson, the company famous for printers and projectors (and smart glasses, more recently), is entering the fitness wearables market with the new "Pulsense" line of wrist-mounted devices. The company announced the Pulsense devices at a pre-CES press conference on January 6. The line will initially include two devices, both of which will launch in summer 2014: the $129 (about £78, AU$143) PS-100 wristband, and the $199 (about £121, AU$222) PS-500 smart watch. They monitor wearers' heart rates, activity levels, calorie burn and sleep patterns, and store and track that data. Both Pulsense devices have cloud functions so users can track their fitness data between devices, and Epson also claims these devices have the longest battery life of any comparable devices available. During the pre-CES presentation Epson describe the four elements it believes are necessary in successful wearables: sensors, mobile applications, data visualization, and "big data," with "analytics and algorithms needed to transform the data into meaningful information." In other words, the Pulsense devices will track and store your data, give you valuable feedback, and interact with other devices. One function of that connectivity is that when it fills up with data - after collecting 480 hours of heart rate data, for example - you'll dump that data onto a computer or smartphone so the Pulsense device can keep track over long periods of time without needing a massive amount of internal storage. They're open source, too, so third-party devs like Digifit and Custom Fit 4 You will be able to have a go at making their own apps for the PS-100 and PS-500. The company also gave CES attendees a history lesson, making the dubious claim that it invented wearable technology decades ago. It began with Seiko Epson's Quartz Electronic watch, which the company says was the world's first sports watch. It was released in 1969. Then, in 1985, Epson release a smart watch called the RC-20, with a 42 x 42 pixel display, a touch interface, and computer connectivity. So apparently Epson is qualified for this sort of thing. Good thing, because as a press release revealed, Epson has more smart products that "address the needs of the health, fitness and sports segments" in the works to be announced further on down the road.